Home Journal Entries What is the Journal Entry for Bad Debts? Not all debtors pay their dues every time. Partially or fully irrecoverable debts are called bad debts. Accounting and journal entry for recording bad debts involves two accounts “Bad Debts Account” & “Debtor’s Account (Debtor’s Name)”. 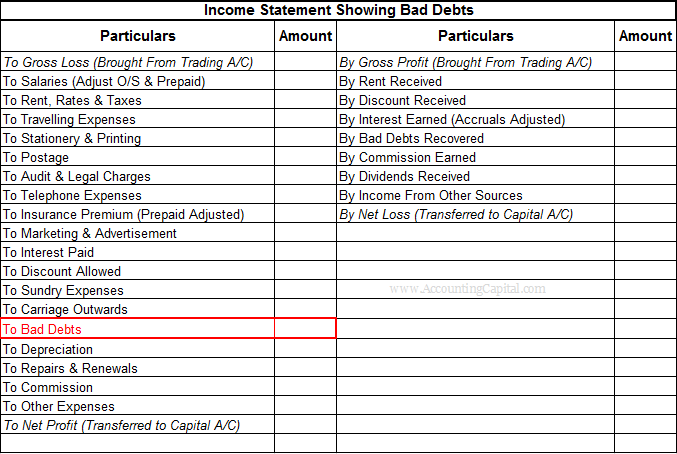 Bad debt is a loss for the business and it is transferred to the income statement to adjust against the current period’s income. Unreal corp was declared insolvent this year and an amount of 70,000 is to be shown as bad debts in the books of ABC Corp. Show accounting for bad debts in this case. In the books of ABC Corp.